Sew Dixie Lou. : Dip your toe into shirt dress heaven. Come make the 6696 with me! Dip your toe into shirt dress heaven. Come make the 6696 with me! Belly is growing, but I'm still a-sewing. 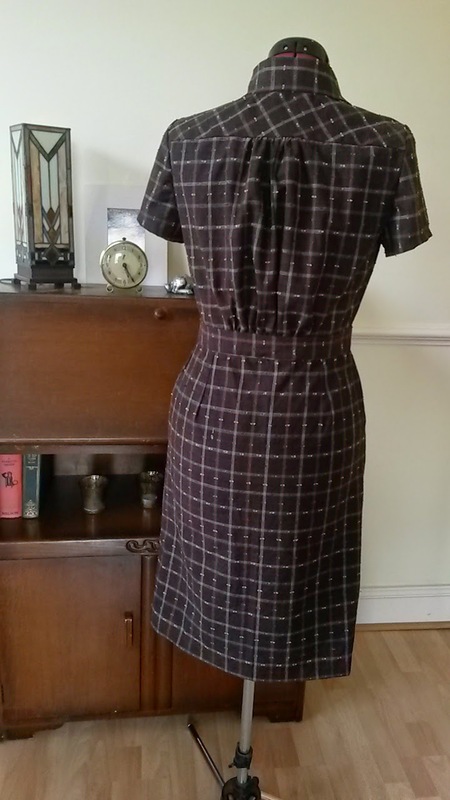 My latest make is another McCall's 6696. As you know this is my favourite pattern ever and I've already made two versions (if you want to see them click here and here). The great news is that I will be teaching this pattern at Ray Stitch in London starting on the 28 October. 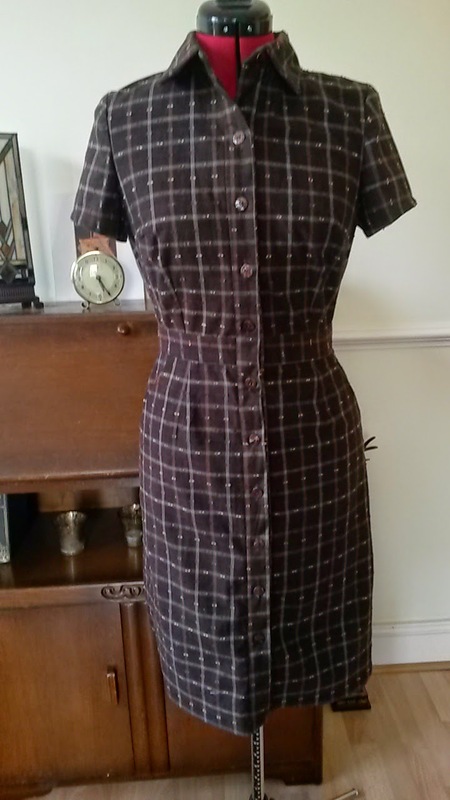 The course will be three evenings (over three weeks) and I'll show you how to get to grips with an entire shirt dress, including collars, button plackets, pockets - the works! This is version B of the pattern, which is a straight skirt with darts and pockets. Yes, check out that check matching. You're welcome. Although this is marketed as a summer pattern, it's definitely adaptable for the colder months. 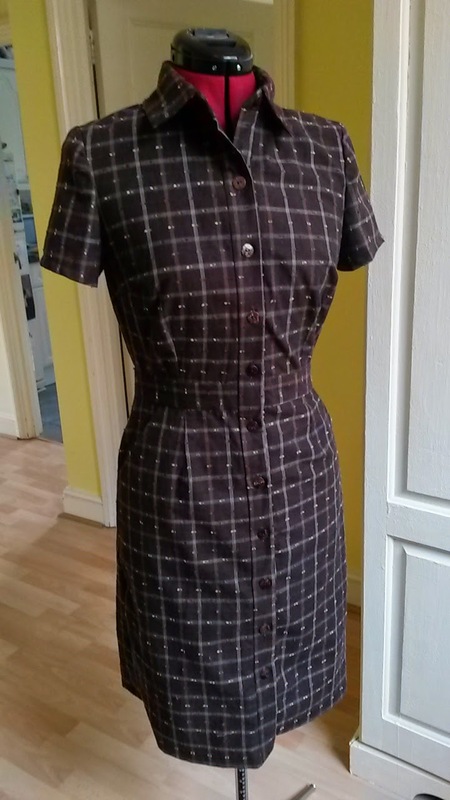 Ray Stitch sent me some stunning dark brown Japanese fabric to make up the dress, giving the pattern a whole new lease of life as a cosy Autumn day dress. I imagine this dress with thick tights and a big chunky cream cardigan. Unfortunately, there are no pics of me modelling this little beauty as it's been made for a size 10 mannequin, which is sadly no longer the size of my pregnant bewbs and belly! But I'll stroke the leftover scraps until I can order my own wad of this lovely stuff. You can find details and how to sign up for the class on the Ray Stitch website. The shop is located on Essex Road in Islington, close to Angel tube and Essex Road mainline station. Sewing for the man. Burda 7045 shirt.